As if a collection of pug puppies wasn't cute enough, Lynne Flynn and her toddler Louie have been taking over Instagram recently, thanks to their adorable antics. Mashable first shared a video of Louie playing with some puglets in October, and while he may be a bit older now, their cute playtime hasn't suffered. 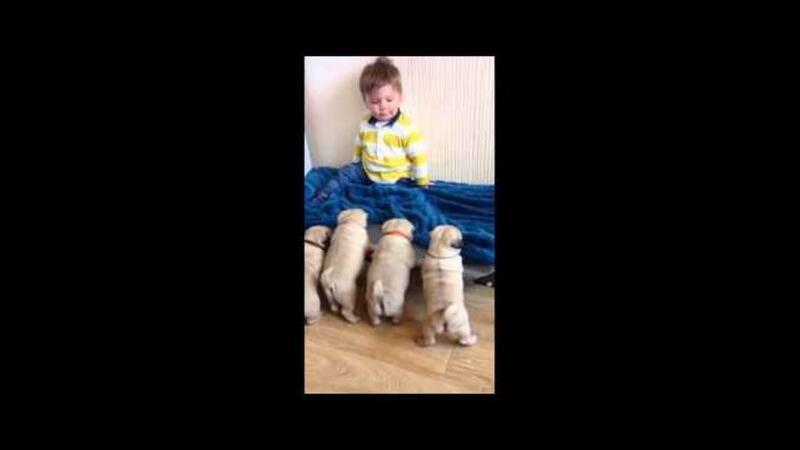 Now a professional crawler, baby Louie has mastered the waddle, along with his puppy counterparts. They're vicious, though. Vicious with their cuddling attempts. You can check out more of baby Louie's adventures with his pug family on their Instagram page.